Dog Clothes can be found almost everywhere these days, however, Barking Divas offers something unique and different in pet apparel and accessories. 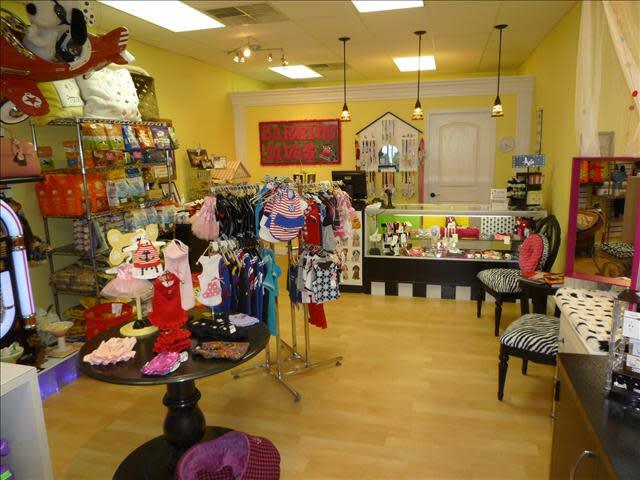 Barking Divas also carries natural foods & treats, stylish clothing, collars, accessories, bedding, and more. It is our goal to offer our customers high end uniquely designed items, together with the BEST customer service. Like us on Facebook to stay updated on sales & events! Drop by and see us while in Panama City Beach. We're next to Liza's Kitchen at 7328 Thomas DR.
Bring your pet to the store with you. We are Pet Friendly.